What’s the most important piece of equipment you’ll take on your backpacking trip? Well, it’s a little debatable, I’ll admit. But the tent is pretty high up there. Choosing the best two person tent for backpacking requires a little inside knowledge. Luckily, I can help with that! Read on for reviews of the best 2 person backpacking tents 2019 and all the inside knowledge you need when deciding on your purchase. 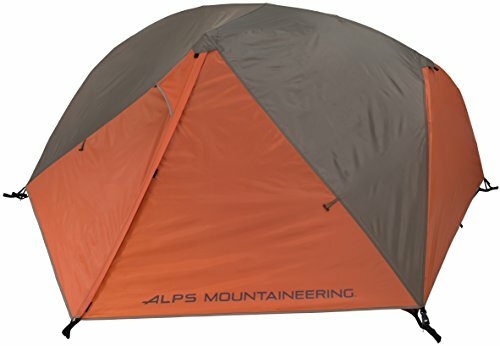 What is a Good Tent Weight for Backpacking? 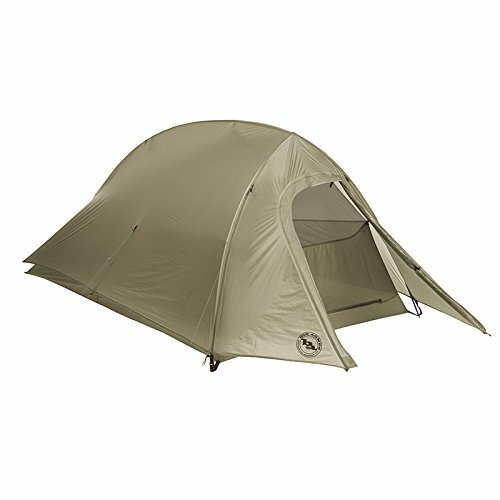 What is the Best Tent on the Market? How do I Choose a Campsite? 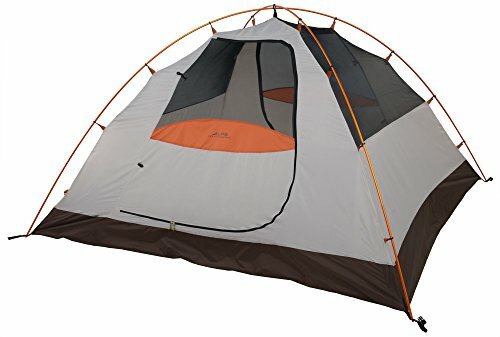 Can a 3 Season Tent be Used in Winter? Review: This is a three season tent designed to shield you from the sun, wind, and rain at an affordable price. It weighs 6 lbs. 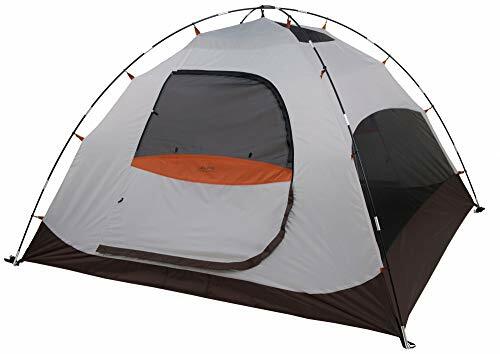 5 oz., which is very reasonable as far as two-person tents go, and it packs down into a 6” by 20” size for better portability. Comes with a full coverage rain fly and vestibule. This tent is set up with color-coded clips, making it easy for anyone to set it up and the poles are made of fiberglass to keep the weight down. Has internal storage pockets to keep things organized inside the tent. This offers a little less internal square footage (33.3 sq. ft.) than most other two person tents. This is one of the best two person backpacking tents for campers on a budget and the best 2 person backpacking tent under 200 dollars. Review: This tent is made by Coleman – a very well-known outdoor brand with a long history of creating great products. The tent measures 7’ long by 5’ wide and 48” high, boasting a 35 sq. ft. interior space. It weighs 6.38 lbs. to carry and will fit comfortably in the average hiking backpack. This tent happens to feature an access port for electricity. You might not find an electrical hookup when you’re backpacking, but this makes the tent great for regular campsite use. Easy to set up and take down with just 2 fiberglass poles. Removable rain fly fits the top and creates a small awning in front of the mesh top which allows for better airflow in the tent when it’s raining outside. Bathtub style floor prevents bugs from crawling in through the bottom of the tent. The tent is only designed to withstand light rain showers so it’s best for trips in drier climates. 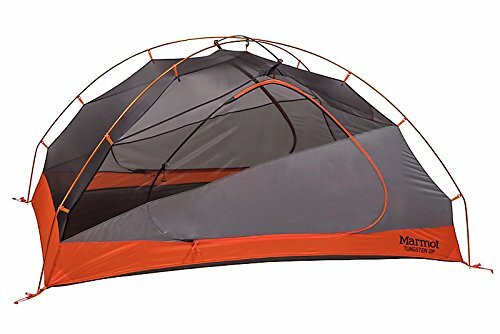 This is the best 2 person tent for camping or for short trips during dry seasons. It’s not as versatile as many other tents, but you’re also saving on costs by foregoing all the special features. Review: This tent is 7’ 6” long by 5’ wide and 4’ high resulting in a spacious 38 sq. ft. of floor space. The carry weight of this tent is 6.88 lbs. and it packs down to a 6” x 24” package for easy transport. The shell is made of lightweight polyester fabric, and the poles are made of fiberglass. The 38 sq. ft. floor space of this tent is almost unheard of. In this tent, two people and all of their gear will be able to fit inside without squeezing. Flysheet is designed to be used with or without an awning pole. You can keep it open during light storms, and close it for high wind rainstorms or light snow. Comes with all the accessories you’ll need for setup. You’re getting aluminum stakes and rope to secure your tent to the ground. This isn’t a four season tent, but it is durable enough for light snow. Just make sure you bundle up and bring the right sleeping bags. This is very spacious and very reliable as far as 2 person tents go. It may be a little on the heavier side, so make sure you balance the weight between the backpacks of both campers. Review: This tent is one of the best options for backpacking and thru-hiking. It is light enough to carry along in your bag and spacious enough to maximize comfort. This feature also makes it easy to set-up and hang out in. It is a solid double walled tent that will cope with a lot of weather and also has near-vertical side walls that provide more headroom. The massive 29 sq. ft. floor area offers enough room for packs and cooking. It is equipped with reflective guy line and reflective webbing around its corners which enhance night time visibility. The tent body is made from ultralight nylon and polyester mesh which offers outstanding ventilation. Adjustable vestibules provide perfect gear storage on either side. The Big Agnes Copper UL2 should be your pick if you are looking for more interior space and increased tent floor durability. It’s the best 2 person tent for hiking if you’re looking for liveability. Review: The Kelty TN2 tent weighs just 4 lbs. 9 oz. and it is relatively affordable. 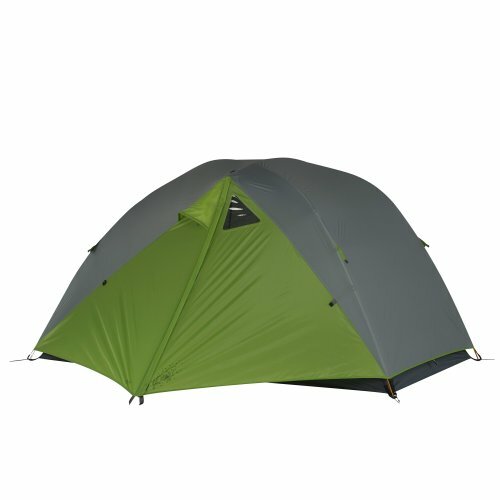 It is suitable for lightweight backpacking, its double-walled design is suitable for use in moderate winter seasons and the 50” wide floor offers more elbow room for two people to hang out comfortably. It has a freestanding design together with shorter aluminum poles that allow for easy setup. It has two vestibules that create extra space to stash your items out of the way. Integrated fly aids in easy set up in rainy weather. The fly protects the inside layer from getting wet. Oversized door with noiseless zipper pulls allows for easy entry. Its Stargazing Fly rolls back for night views of the sky. Floor length is a little short for people taller than 6’2”. The two built-in pockets are quite small for storing gear. 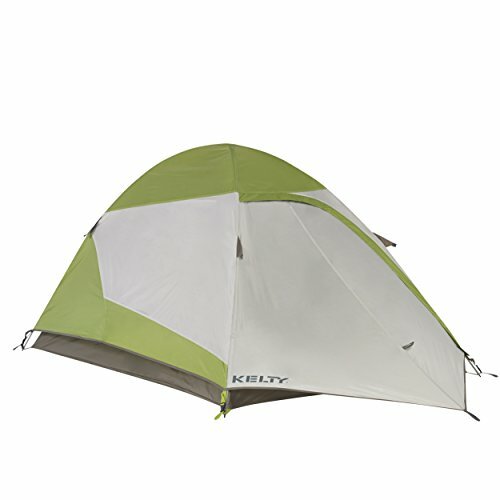 The Kelty TN2 is an ideal product for anyone working on a budget. 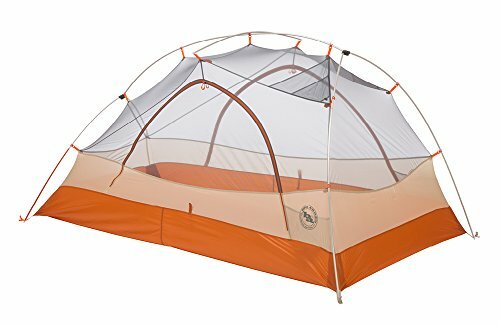 This is the best cheap 2 person tent for backpacking. Review: This tent is 56” wide by 92” long and 43” high, offering 35 sq. ft. of floor space. The carry weight is an impressively light 4 lbs. 11 oz. and packs down into a 7.5” x 18” carry size. This is a light and compact tent that offers plenty of space for two campers, and it will never be a burden to lug around. Its large mesh wall panels allow for good ventilation and the polyester tent material is breathable. It can withstand fierce winds as its poles are strong and sturdy. Two aluminum pole construction is easy to set up and take down in just a few minutes – even if one person sets up the tent by themselves. Rainfly completely covers the tent. Even if it’s windy, you’ll be adequately shielded from the elements. Its vestibules are relatively small in size to offer storage for bulk gear. This is a top rated 2 person backpacking tent, and it’s easy to see why. It’s a great deal for everything you’re getting, and it’s designed specifically for people who need to keep their loads light while still having a safe place to sleep. Review: The Chaos also comes on a low budget, but is an excellent buy. It has a lot of headroom, a free-standing design, two doors along with two vestibules, a wide rectangular floor and interior mesh pockets. It has 2 doors on either side for convenient entry. The door zippers are also large enough for easy opening and closing. It is easy to assemble with the strong and lightweight aluminum poles and clips that snap into place. It protects well in rainy weather because it is equipped with a sealed fly and floor seams. Has increased ventilation which is enhanced by its roof vents. It is a little heavier than some would like. It lacks proper ventilation in humid conditions. The Chaos is one magnificent tent that will give you a good reception in the evening after a long-distance hike. 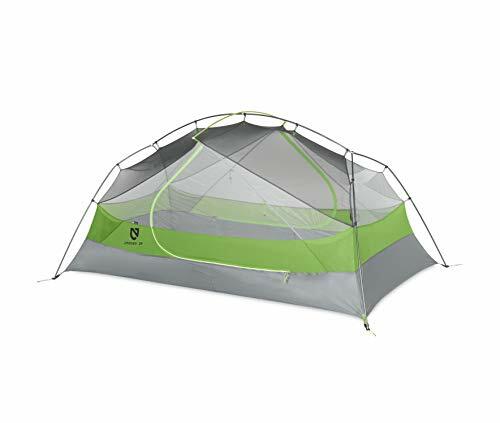 Review: This tent is lightweight and ideal for backpacking through brisk springs and rainy autumns. The tent’s walls are constructed in part out of mesh to bring the summer season breezes in. The fly is made from polyester for UV-coverage and the ground out of PU-lined material for water resistance. 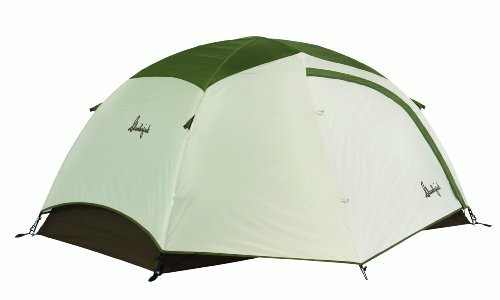 The Lynx has more mesh than most 2 person tents which offers extra ventilation. The tent is quite easy to assemble with tent clips that fit easily over the poles. It offers maximum weather protection as its fly and floor seams are perfectly sealed. Availability of two doors provides easy entry and exit. Its two vestibules create more room for storing gear. It does not have much interior space so it’s not the best for lounging. The Lynx may be the best 2 person backpacking tent to buy if you are looking for an affordable tent that still does not sacrifice its features. Review: This is a solid mid-range tent that provides real value for 3 season use. 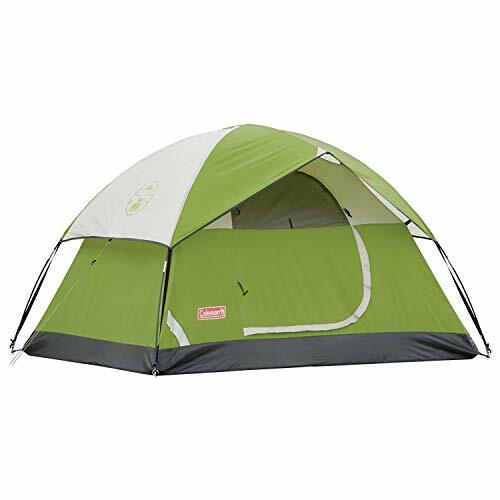 It uses a freestanding dome design tent and is lightweight and easy to set up. The Kelty’s two vestibules fit boots, gear and other items. It is designed with ceiling loops which you can use to hang light items like wet socks or lamps. It boasts some of the most breathable mesh which prevents condensation build-up. Its freestanding design makes it easy to move around while finding the ideal placement location. This tent can be a bit tight for two people with lots of gear. Not suitable for very cold temperatures. This product is perfect for lightweight and ultralight backpacking. Review: The Nemo Hornet is a remarkably light and semi-free standing tent with a double wall design and 2 vestibules. It is also a perfect option for ultralight backpacking, general backpacking and thru-hiking. Easy to set up and relocate from one spot to another. Easy access in and out of the tent as it has dual side doors. It is convenient to pack. Double vestibules provide light gear storage. Limited interior space including headroom caused by its slanted walls. It does not offer enough storage for two people with bulky gear. But few ultralight tents do. The Hornet is a solid choice for backpackers that want to spend much time hiking but less time in the tent. Review: The MSR Hubba Hubba is easily one of the best tents on the market right now. It is very well designed, reasonably spacious, lightweight and extremely sturdy in high winds and rain. Its 3.8 lbs. weight is reasonably light for a solid, weather proof tent. It has 29 sq. ft. of internal floor area plus 17.5 sq. ft. of vestibule space for gear storage. Rain fly can be rolled back part way for a stargazer view. Plenty of mesh for excellent ventilation and high bathtub floors for warmth and protection from splashes. On the expensive side – but you get what you pay for (ie. it’s worth it!). 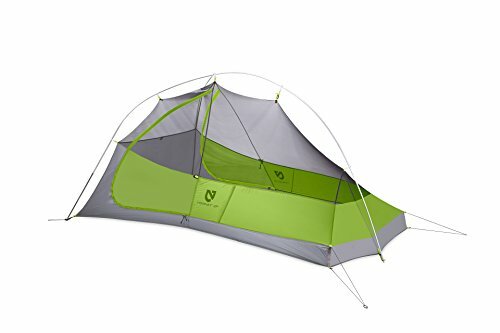 This is the best 2 person backpacking tent 2019. It is durable, weather proof, spacious, easy to put up and reasonably lightweight. 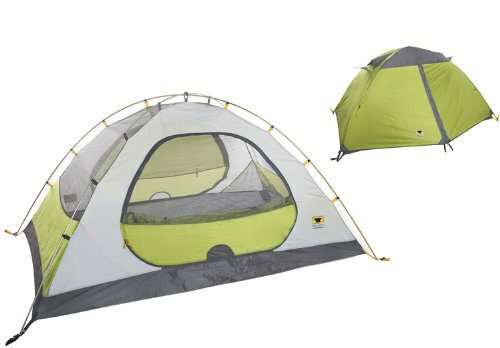 Review: This ultralight 2 person tent is the lightest Big Agnes backpacking tent, weighing in at 2 lbs. 8 oz. packed and just 2 lbs. 3 oz. for its trail weight. It copes well with rain and insects and comes equipped with some internal pockets for gear organization. 2 entrances makes it much easier for 2 people to share a confined space. Very spacious interior for such a light tent. This is the best lightweight 2 person tent for its impressive balance of living space, weight and weather proofing. Review: This is an ultralight and less well-known alternative to the Nemo Hornet. Similar to the Tiger Wall, it manages to be ultralight while still having an impressive amount of living space. It has a trail weight of 3 lbs. 5 oz. which isn’t as light as some ultralight tents, but it is a sturdy, 3 season set up. 2 large vestibules for gear storage. Color-coded poles make set up really easy. Its special feature is the overhead light pockets which can turn a head torch into a ceiling lamp using light diffusing materials. Could do with a little more ventilation in clammy weather. This is another example of the best two person tent for backpacking if you’re looking for spacious tent in a lightweight package. Review: The Marmot Tungsten is a reasonably affordable tent considering its high quality design and the fact that it comes with a footprint. It has a lot of living space, similar to the MSR Hubba Hubba in design, and manages to be pretty lightweight too. Includes a footprint which is a very rare bonus! Lightweight 3 lbs. 4 oz. trail weight. 2 vestibules for gear storage and 2 doors. The mesh doesn’t allow for great ventilation in hot weather. This is the best 2 person tent for the money, rivalling the higher end tents in quality but for a mid-range price. Review: The Fly Creek is similar to the Big Agnes Tiger Wall but slightly smaller, slightly more affordable and with only 1 door and vestibule. But, it weighs in at an incredible 1 lbs. 15 oz. trail weight. So if lightweight is more of a priority than space, this is definitely the tent to go for. DAC Featherlite poles are lightweight while being tough and durable. 28 sq. ft. of floor space and 7 sq. ft. vestibule. Only one door and vestibule. Pretty tight for 2 people. Minimal space for gear. This is a lightweight and compact 2 person tent that would also make a great single person tent. Shopping for the best two person tent is very different from shopping for a family tent, or even a one person backpacking tent. It’s a slightly more delicate balance of weight, living space and weatherproofing. What kind of weather conditions will you be facing? How much time will you be spending in your tent aside from literally sleeping? If ultralight is your priority, then it’s your priority. You’ll compromise a little on durability and living space. That’s just the way it is. Alternatively, if you need something better able to stand up to the elements and there’s a chance you could be stuck inside your tent for a day or more while you wait out a storm, weight is less important than weatherproofing and living space. Tents are customized for use in different seasons. A tent that won’t protect you from the rain isn’t worth your investment. If you find yourself stuck in a surprise rainstorm with a tent that leaks buckets full of water right into the area where you’re supposed to sleep, you’ll quickly understand why. So you have a choice between 3 season tents, extended season (3 +) tents or 4 season tents. At the very least, you’ll need a 3 season tent that’s designed to keep water out. 4 season tents are usually unnecessary unless you’re very experienced and heading into alpine environments. Some tents are designed with waterproofing high on their list of priorities regardless of their season rating. If waterproofing is your priority, check out our article on the best waterproof tents. 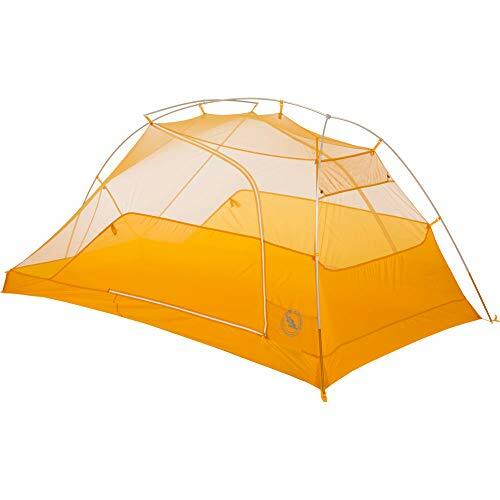 These tents are the most popular choice of tents. They are lightweight and so are suitable for the temperate weather conditions of summer, spring, and fall. They can endure heavy downpours and light snow but are not suitable against harsh winds. Their design integrates ample mesh panels that boost air flow and prevent insects from getting inside the tent. These tents are customized for prolonged spring, summer and fall seasons. Their usage stretches to early spring and late fall when relatively cold conditions can be encountered. They help with heat retention through having less mesh and also provide balanced ventilation. They feature 1 or 2 more poles than 3-season tents to provide more strength. These tents are made to withstand extreme winter conditions. They are suitable for fierce winds and heavy snowfall, being sturdier and made from heavier fabrics. These tents include fewer mesh panels to help retain extra warmth, are often single walled and very waterproof. However, they can get warmer and feel stuffy during mild weather. A two-person tent is always going to be heavier than a one person tent, but that’s not necessarily a problem. You’ll have two people to split the load in their hiking backpacks. Before you decide which tent to buy, you need to consider how much all of your other gear will weigh. Investing in an ultralight tent doesn’t make sense if the rest of your gear is heavy and cumbersome. It all depends on what you’ll need to bring. Packaged weight – normally the heaviest as it comprises all items that come with the tent. These include guy lines, stuff sacks, rainfly, poles, stakes, pole sack and more. Minimum trail weight – generally the lightest full set up. Includes tent, rainfly, and poles only. Fast pitch – includes only the rainfly, footprint and poles for experienced backpackers in predictable weather conditions. The minimum trail weight is the most useful for backpackers. The interior space is a crucial factor to consider before buying a tent although most of the time it is challenging to measure. Traditional tent measurements such as length, width and height come into play but they are not ultimate deciders. The slope of the walls and the shape of the tent can play a role in how spacious the interior of the tent actually is. The best 2 person backpacking tent will be able to comfortably accommodate two people, as well as their gear. However, many of the best tent brands keep the weight down by keeping the size down, leaving your gear relegated to the vestibules or outside the tent with a rain cover. If weight isn’t a priority and there’s a chance you’ll be spending more time in your tent than just your 8-hour sleep, you might consider looking for a three person tent in order to assure you have enough space. Peak height is the tallest point inside a tent. The location of this point determines the living space of the tent. For you to properly analyze the interior space, it is advisable to visit a store, set up the tent and hop inside. This will help you find its peak height. If you like to enjoy the airiness that comes with a high ceiling or if you are over 6ft tall, a high ceiling tent might be your suitable choice. There are 2 types of tent material to choose from in the backpacking world depending on the waterproofing system they use: Silnylon and PU coated polyester or ripstop nylon. Silnylon is basically ripstop nylon that has been impregnated with silicone for waterproofing. It is the lightest weight option for tent material and its waterproofing lasts a long time. There is one tiny catch that when setting up the tent, it will stretch once it gets wet. So, be prepared to go outside and tighten everything up once it starts raining. Polyurethane (PU) coated polyester means that a PU coating has been applied to the inside of the rainfly for waterproofing. It is often paired with a DWR layer on the outside. Both the PU coating and the DWR are waterproof for the first season or two but often need re-waterproofing as the tent ages, especially if it’s not looked after properly. PU-coated tents are also heavier. Silnylon used to be only for the most expensive tents, leaving mid-range tents with PU-coated material. Nowadays, both high end and mid-range tents can use either material, but the quality of the material will obviously vary. 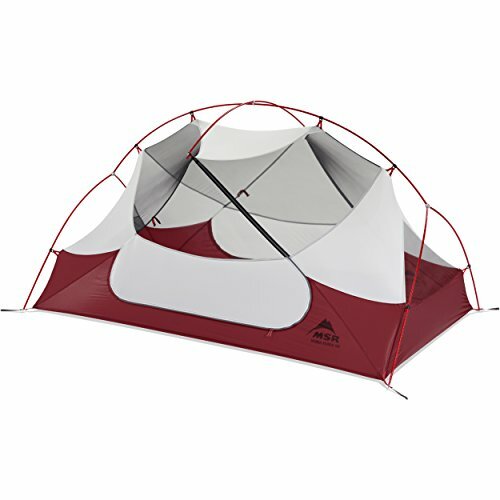 How easy is the tent to set up? Most 2 man tents on this list are pretty easy to set up. Once you’ve done it once you’ll be an old hand. How durable is the groundsheet and will you need to purchase a footprint separately? How sturdy are the pegs and will you need to upgrade before going for a windy trip? What kind of warranty does the tent come with? Does the manufacturer stand behind his product? Good lightweight backpacking tents weigh between 2 and 4 lbs. This is obviously a personal choice depending on your priorities. But some of the best tents on the market right now include the MSR Hubba Hubba, the Big Agnes Copper Spur and the Nemo Hornet. A 3 season tent is one designed to cope with summer, spring and fall weather conditions. There are a few things to consider. Most important is flat ground, well-drained ground (avoid bogs or places where streams might spring up in heavy rain), shelter from wind or sun, not directly under any cliffs where rocks could fall, and close to a water source. This depends on the quality of the 3 season tent and what kind of winter conditions you’re facing. If you’re going into an alpine environment, then no. It’s safer to use a tent designed to cope with alpine conditions. If you’re just going to be facing lots of wind and rain and the temperature won’t go too far below freezing, then yes. 3 season tents can be used in winter. Hopefully, you’ve found this article useful and feel well-prepared to choose your perfect tent. The best 2 person tent is one you’ll be able to take on every backpacking trip for years to come. Go ahead and share your thoughts and experiences below and be sure to download our solo travel ebook for more essential tips.